Cherepanov Sergei Borisovich is the Deputy Chairman of the Steering Committee of the Administrative Center of Jehovah’s Witnesses. On Friday, April 7, 2017, after the day’s supreme court proceedings to ban Jehovah’s Witnesses in Russia, he wrote a letter directly to the Supreme Court. This is a translation of that letter which was written in Russian. You’ll notice in this letter that Cherepanov Sergei Borisovich refers to third party’s who describe Jehovah’s Witnesses as pacifists. He knows Jehovah’s Witnesses are not pacifists but does not attempt to deny how others describe them because to do so would incur the label of “extremism”. He makes no mention of Jehovah’s Witnesses’ shunning policy which is also an extremist act; instead he quotes biblical scriptures to prove that they are “loving people”. But do not all bible-based religions try to be “loving people”? Yet no other religion is as extreme as Jehovah’s Witnesses when it comes to shunning. Avoidjw.org has only one goal and that goal is to end shunning. Shunning is an extreme act and it can be considered extremism because it is a form of mental torture and it is the main reason hundreds of thousands of ex-members exist who are vocal in their criticism of Jehovah’s Witnesses. End shunning and most of these people would stop retaliating against the religion of Jehovah’s Witnesses. In fact, if shunning ended, many ex-Jehovah’s Witnesses would be happy to support Jehovah’s Witnesses in their pursuit to have freedom to worship. Indeed, many of the ex-Jehovah’s Witnesses who suffer from being shunned are still very vocal in their support of Jehovah’s Witnesses’ right to freedom of worship. In reading Cherepanov Sergei Borisovich’s letter, most persons will not be able to help feel for the plight of Jehovah’s Witnesses in Russia. 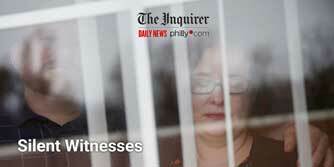 Injustices are being carried out against Jehovah’s Witnesses in that country. No one should suffer because of their belief, or lack of belief. It’s a human right. And even if we have been hurt by this organisation because of it’s extreme practice of shunning, we still need to believe that justice is what is required, not injustice. The Ministry of Justice requires the highest penalty for a legal entity – liquidation – and tries to convince you, the esteemed Court, that the Administrative Center is a malicious violator of the law, to which the Prosecutor General issued a Warning, and even after that, that we stubbornly ignore taking measures to eliminate violations of the law. I cannot agree with the accusation of inaction by the Administrative Center after receiving the Warning and I want to explain to the court how things really are. As law-abiding citizens, Jehovah’s Witnesses follow the principle of the Bible: “Let every soul be in subjection to the higher authorities” (Romans 13:1). March 10, 2016: the chairman of the Steering Committee of the centralized Religious Organization “Administrative Center of Jehovah’s Witnesses in Russia” V.M. Kalin was given a warning about the inadmissibility of carrying out extremist activities. March 15, 2016: The Steering Committee of the Administrative Center discussed at its meeting the Warning received and, in connection with the issues raised, decided to ask the Prosecutor General of the Russian Federation for a personal meeting with the author of the Warning, Deputy Prosecutor General V.Ya. Green to find out what kind of complaints the Prosecutor General’s Office had against the Administrative Center and what measures in the opinion of the Prosecutor’s Office could be taken to ensure that the prosecutor’s office had no complaints with the organization. March 17, 2016: The corresponding Letter No. 41 dated 17.03.2016 was sent to the General Prosecutor of the Russian Federation. March 25, 2016: The letter was registered with the Prosecutor General’s Office of the Russian Federation, and on the same day, the Prosecutor’s Office responded with a refusal to meet with the officials of the prosecutor’s office. Despite the refusal of the General Prosecutor’s Office to enter dialogue with us, we continued to observe the laws of our country. The Administrative Center took all possible steps to fully comply with the requirements of the Law on Extremism. Regarding religious literature, which the Administrative Center imported, we received expert opinions to confirm that the literature did not contain any signs of extremism. The Administrative Center regularly monitors the FLEM. And no publication, after its inclusion in the FLEM, was imported into Russia. Even before the warning was received, a decision was made by the Steering Committee on 28.01.2015 to develop proposals for monitoring compliance with the requirements of the Federal Law on Extremism. A permanent commission was appointed by the Organization’s Steering Committee from 01.04.2015. The Steering Committee decided on January 27, 2016, to revise the composition of the permanent commission. The results of this commission were formalized in the form of inspection certificates (attached). When the Administrative Center became aware that law enforcement officers and others, according to their orders, threw forbidden literature into our religious buildings, as evidenced from CCTV camera recordings, complaints were immediately filed with the General Prosecutor’s Office of the Russian Federation and the investigating authorities regarding such illegal actions. The Administrative Center requested in writing the Prosecutor General’s Office to explain what additional steps should be taken to comply with the Extremism Law, so that the state considers them sufficient and effective (copy of the letter is attached). It is difficult to imagine what additional steps the Administrative Center could take to comply with the anti-extremist legislation. The representative of the Ministry of Justice in the hearing also failed to explain what other measures the Administrative Center could take to ensure that the Justice Ministry did not file a lawsuit for liquidation to the court. The representative of the Ministry of Justice told the court that she was not familiar with the content of the literature of Jehovah’s Witnesses. And most likely she does not know much about Jehovah’s Witnesses. Probably, without involvement of experts in religious studies, the representative of the Ministry of Justice also finds it difficult to believe that for Jehovah’s Witnesses to be law-abiding citizens it is not just a civil position, but a doctrine based on the Bible, that is, the question of maintaining a clear conscience before God. Therefore, the accusation against the responsible persons in the LRO and the Administrative Center that they did not comply with the requirements of the Warning of the General Prosecutor’s Office cannot be based on the position of the believers-Jehovah’s Witnesses. This accusation is impossible without falsification. Why then was this lawsuit created? I think that the reason is not in the actions of the Administrative Center, but in relation to certain officials in the state towards our religion. The Administrative Center, along with the 395 LROs, are treated as if they were dangerous criminal organizations. Despite the fact that their activities are peaceful and the court has not rendered a decision on this administrative matter, the Administrative Center is already on the Rosfinmonitoring list along with such organizations as AL-Qaeda, the Taliban Movement, Islamic State, Aum Shinrikyo and the like. Bank accounts of the Organization are blocked, and the activities of the Administrative Center are suspended on the basis of the Order of the Ministry of Justice. I am not a lawyer, but it seems to me that against the backdrop of the violent illegal actions of truly extremist organizations and individuals who are killing people, the position of the Ministry of Justice on charges of Jehovah’s Witnesses devalues the very concept of fighting extremism, leading the law enforcement agencies on a false track. In modern Russia, accusations of Jehovah’s Witnesses being involved in extremism began with the unfair recognition of certain printed publications of Jehovah’s Witnesses as extremist materials on the instigation of local prosecutors (lawyers will explain in more detail). The same innocuous, Bible-based publications are freely used and distributed in 240 countries and territories around the world. Recognizing some of our print media as extremist, law enforcement agencies first tried to criminally prosecute some believers. For the period from 2009 to the present, 20 criminal cases were opened against Jehovah’s Witnesses in Russia on charges of extremist activity. The investigation of these cases and trials on them continued for several years. Hundreds of believers were unjustly subjected to humiliating interrogations and searches. During the searches of their personal libraries, all religious literature, including the Bible, was confiscated. Obviously, the purpose of these Criminal prosecutions was to intimidate Jehovah’s Witnesses so that they would abandon their beliefs and activities. As a result, 17 criminal cases have already been completed either by acquittals or by cessation of criminal prosecution. Resolutions of investigators on the termination of these cases and acquittals of the courts that have entered into force, convincingly testify to the absence of any signs of extremism in the activities of Jehovah’s Witnesses (rulings and acquittals are presented to the court as annexes to the objection). Not having achieved tangible results in the area of criminal prosecution, law enforcement agencies since 2014, have concentrated their efforts on trying to “find out” the literature of Jehovah’s Witnesses included in the FLEM in their religious buildings. 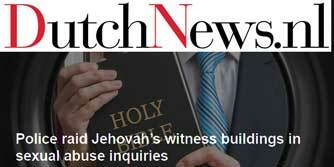 Having established that Jehovah’s Witnesses, as law-abiding citizens, stopped using those prints that were included in the Federal list of extremist materials in their religious activity, law enforcement agencies organized massive provocations, namely, planted the forbidden literature into the believer’s buildings of worship. At the same time, they used literature obtained during searches in the framework of failed criminal cases. To date, more than 60 such cases have been recorded throughout the country (the table of flaws is submitted to the court as an attachment to written objections, and lawyers will explain in more detail). As a result of the seizure of the supplanted literature, as well as other falsifications against certain LROs or individual believers, cases were brought about as an administrative offense under art. 20.29 of the Code of Administrative Offenses of the Russian Federation, after which judicial acts were issued to hold them accountable for the storage of this literature for the purpose of mass dissemination. At the same time, the courts consistently refused to check the believers’ arguments about flaws and falsifications, despite the fact that their evidence was in some cases based even on photographs from the surveillance cameras that recorded how police officers planted forbidden religious literature and found it in the most unexpected places, such as a vase of flowers. Such judicial acts, in turn, were the basis for the prosecutors to issue warnings to the LRO first, and then, after repeated provocation, they became the basis for the liquidation of LROs through the court recognizing it as an extremist organization. Thus, during the past three years law enforcement agencies artificially and absolutely illegally created the basis for the recognition of Jehovah’s Witnesses as extremists throughout the country. However, this “extremism” of Jehovah’s Witnesses is far-fetched, virtual, having absolutely nothing to do with real life. This is extremism on paper, based mainly on illegal actions of law enforcement agencies. Indeed, Jehovah’s Witnesses have not committed any real extremist acts, and cannot be so because of our religious worldview, which commands us to reject all manifestations of violence, show deep respect for the authorities and love for people, whether they share our convictions or not. An analysis of the facts of the persecution of Jehovah’s Witnesses in Russia allows us to come to the shocking conclusion that the General Prosecutor’s Office of the Russian Federation, which was ordered to rehabilitate believers in the 1990s, acts as the initiator of a campaign of religious persecution of these peaceful citizens. Thus, it is known that during the last few years the employees of the prosecutor’s office, the police and the FSB in virtually all regions of the Russian Federation, with reference to the task of the Prosecutor General, publicly and privately collected information of both registered religious groups and of citizens professing the doctrine of Jehovah’s Witnesses, as well as their financial status. This is confirmed, among other things, by hundreds of documents that the Ministry of Justice of Russia submitted to the Supreme Court as a justification for its claims. Out of the entire volume of documents submitted to the court, half (more than 350 pages) are information about religious buildings belonging to the religious organizations of Jehovah’s Witnesses throughout Russia, from Kaliningrad to Sakhalin. An analysis of the documents submitted by the Ministry of Justice shows that they were all collected during the period from February to May 2015 by the prosecutor’s office. The fact that the divisions of the prosecutor’s office of all constituent entities of the Russian Federation were busy collecting information on the property status of believers during the same period of time testifies to a well-planned campaign led by the General Prosecutor’s Office of the Russian Federation. Since these facts reminded the believers of the events of the last century, when the lists of Jehovah’s Witnesses were formed in the Soviet Union in the 50s, and then their property was confiscated and thousands of families of believers were exiled to Siberia on the decision of the Council of Ministers of the USSR, the Administrative Center informed the Prosecutor General of the Russian Federation in Letter No. 117 of May 22, 2015 (submitted to the court as an attachment to the objection). The desire of the General Prosecutor’s Office of the Russian Federation to liquidate the religious organizations of Jehovah’s Witnesses in our country became known as early as 2014, therefore the assertions of the plaintiff that the liquidation of the Administrative Center is connected with “violations” allegedly occurred after the warning issued by the Prosecutor General’s Office in 2016 are untenable. Thus, in an official letter from the Department of the Federal Security Service for the Irkutsk region of January 27, 2014, addressed to the administration of Angarsk, it was said: “Currently, the General Prosecutor’s Office of Russia in cooperation with other law enforcement agencies of Russia is preparing a suit to the Supreme Court of the Russian Federation to recognize the organization “The administrative center of Jehovah’s Witnesses in Russia” as extremist, that it be liquidated its activities prohibited throughout the territory of the country “(submitted to the court as an attachment to the objection). In his response to the request of the Administrative Center, the head of the FSB Department for the Irkutsk region did not deny the fact that such a letter was distributed among officials of Russian state institutions (submitted to the court as an attachment to the objection). From these documents it follows that the General Prosecutor’s Office of the Russian Federation, at least as far back as 2014, intended to prohibit the activities of Jehovah’s Witnesses in Russia. Whenever possible, believers reported in writing to the Prosecutor General of the Russian Federation, to the Investigative Committee of the Russian Federation and other state institutions about the facts of planting prohibited literature and illegal activities of the authorities (copies of numerous appeals to the law enforcement bodies were submitted to the court as an attachment to the objection). Despite the numerous appeals of believers with allegations of crimes, including the provision of video evidence of planting, to date, no criminal case has been instituted on the facts of abuse and falsification. One of these obvious cases occurred in September 2016 in the village of Nezlobnaya, Stavropol Territory. On the recorded video surveillance cameras, the recorded images clearly showed how more than 12 law enforcement officers wearing masks armed with assault rifles broke into the place where the worship of Jehovah’s Witnesses was held in the village of Nezlobnaya Stavropol Territory. They removed two watchmen from the religious building, so that no eyewitnesses remained there. However, video surveillance cameras recorded how two police officers planted forbidden literature into the closet in the main room, while other employees were watching him. Less than an hour after that, other police officers carried out a “search” in this room and seized the prohibited literature previously thrown by police officers (videotapes attached). Other cases took place in Sevastopol (Crimea) and Balakovo in the Saratov region and in Samara, which were recorded by video surveillance cameras showing attempts to plant (video clips are attached). Unfortunately, despite numerous complaints filed with the Prosecutor General’s Office and the Investigative Committee of the Russian Federation with the application of video evidence, the guilty law enforcement officers have not yet been brought to justice for such obvious crimes. The Administrative Center took all reasonable and possible measures for it to comply with the requirements of the Extremism Law. Neither the Ministry of Justice nor the Prosecutor General’s Office indicated any other specific measures that the Administrative Center could take to ensure that it would not face any complaints from the state bodies. Consequently, the principle of the rule of law will be applied in this administrative case only if the Supreme Court of the Russian Federation leaves the complaints of the Ministry of Justice unresolved because the Administrative Center has taken all reasonable efforts to comply with the requirements of the Law to counteract Extremism. Thus, it is obvious that Jehovah’s Witnesses do not violate the law, but acts are committed against them aimed at falsifying the reasons for an unreasonable and far-fetched charge of extremism. On March 27, 1991, the statute of the Administrative Center was officially registered, and from that time it began to act as a legal entity. Later, in 1999, in accordance with the changes in the legislation of the Russian Federation, the Administrative Center successfully passed re-registration in the Ministry of Justice of the Russian Federation. At the same time, the doctrinal documents of the Administrative Center were subjected to examination by the state religious expertise of the Ministry of Justice of the Russian Federation. 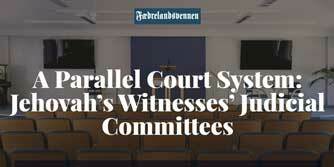 As a result, it was confirmed that calls for violent change of the constitutional order, violation of the constitutional order, incitement to violence, incitement to social, racial, national and religious hatred, commit other illegal actions were absent from the doctrine of Jehovah’s Witnesses (submitted to the court as an attachment to the objection). It is quite obvious that the Administrative Center was not created for extremist purposes, it has never engaged or is currently engaged in extremist activities. From the Statute of the Administrative Center and the Fundamentals of the Doctrine, it is clear that the essence of the activities of Jehovah’s Witnesses is the study and application of the Bible for peaceful purposes, and to commit good deeds. This, by virtue of the provisions of international and national legislation, cannot be recognized as extremism. According to Art. 3.1 of the Federal Law of the Russian Federation “On Counteracting Extremist Activity” The Bible, the Koran, Tanakh and Ganjour, their content and quotes from them cannot be recognized as extremist materials. For the Jehovah’s Witnesses, two biblical commandments, stated by Jesus Christ, are very important: “Love your God Jehovah with all your heart, with all your heart and mind” and “Love your neighbor as yourself” (Bible, Matthew 22, verses 37-39). “Since its inception in the late nineteenth century, Jehovah’s Witnesses have emerged and are active in many countries around the world, including all European countries that are members of the Council of Europe. In these countries, they were granted permission to practice their religion together with others, although they may have experienced delays and difficulties in obtaining formal recognition”. It follows from the conclusions of the results of a religious studies study of May 26, 2016, prepared by the doctor of historical sciences, the religious scholar Odintsov MI: “In the doctrine and the religious practice of the religious associations of Jehovah’s Witnesses in Russia, ideas connected with the implementation of extremist activities do not exist in Russia. On the contrary, the doctrine of Jehovah’s Witnesses is based on exactly the opposite ideas, namely, on the principles of respect for people “(available in the case materials). Thus, since the official recognition of Jehovah’s Witnesses in the USSR in 1991 and until March 2017, the Ministry of Justice of Russia has not filed complaints against the Administrative Center for charges of extremism. On the contrary, the Administrative Center was repeatedly encouraged by the state for socially useful activities (copies of letters and letters of gratitude to the Organization are submitted to the court as an attachment to the objection). During these 26 years, the administrative center has not changed either religious teachings, or respectful attitude to state power and the constitutional order. Jehovah’s Witnesses are a well-known religion in the countries of the Council of Europe, as was repeatedly stated in the ECHR judgments. In this regard, the requirements of the Ministry of Justice of Russia on the liquidation of the Administrative Center and all 395 religious organizations of Jehovah’s Witnesses in Russia are not only inconsistent, but also illegal. The liquidation of the Administrative Center and 395 LROs of Jehovah’s Witnesses will lead, officially or unofficially, to a nationwide violation of the constitutional rights of more than 175,000 Jehovah’s Witnesses in Russia and about 300,000 citizens who attend their services. In this judicial session, the representative of the Ministry of Justice directly admitted this, answering the question of the court. She noted that joint Bible reading for believers would be banned if the suit was satisfied. But is the state’s goal to prohibit believers from jointly professing their religion? Extremism is fought in all civilized countries of the world. But only in Russia Jehovah’s Witnesses are trying to declare them extremists. 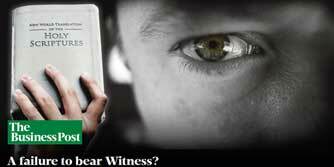 More than 20 million people attend meetings of Jehovah’s Witnesses around the world. Declaring this religion guilty of extremism means challenging all those countries where Jehovah’s Witnesses are officially recognized and not considered extremist. In connection with the foregoing, I ask the esteemed Court to deny the Ministry of Justice a request to liquidate the religious organization “The Administrative Center of Jehovah’s Witnesses in Russia” as an extremist organization.